Denyse F. Clancy is a nationally recognized appellate and trial lawyer with prominent experience in asbestos litigation and other toxic torts. 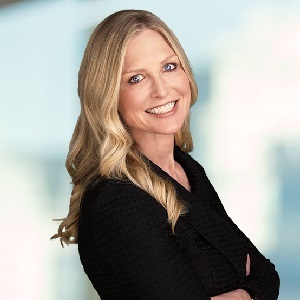 Prior to joining Kazan Law as a partner in 2016, Ms. Clancy was a shareholder and lead appellate and trial counsel at Baron & Budd, a highly respected trial firm headquartered in Dallas, Texas. Ms. Clancy has tried and won a wide array of asbestos-related cases, and has succeeded in defending a number of verdicts. Included among her victories as lead appellate counsel were Izell v. Union Carbide, which upheld a large punitive damages verdict. 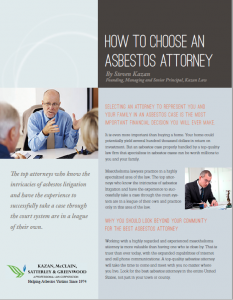 In Mahoney v. Georgia-Pacific, the California Court of Appeal upheld a significant compensatory damages verdict on behalf of a California asbestos sufferer and her family. A verdict for a Louisiana plaintiff with lung cancer was successfully upheld in Watts v. Hebert Brothers. Ms. Clancy’s work in Moore v. Ericsson upheld a judgment on behalf of a Pennsylvania electrician against an asbestos wire manufacturer. Ms. Clancy is one of only a handful of lawyers in the entire nation who has both: (i) been lead trial lawyer in cases resulting in National Law Journal Top 100 verdicts in the nation, and (ii) protected the law as an appellate attorney in numerous state Supreme and Appellate Courts.